YOP! Apparel Company is a Cleveland, Ohio based apparel and lifestyle company with the mission to "create wealth and inspire". YOP! was born in 2009 with a vision to provide timeless and socially relevant apparel that promotes individualism, positive energy, and the geography of its supporters. Inspiration, Enthusiasm, Faith, Effort are the foundations used to "create wealth and inspire" for YOP! #yoplife - is a term that defines a person's lifestyle that correlates with our foundations and mission statement. 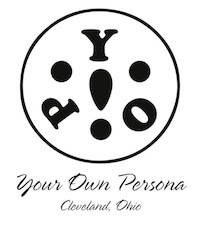 Anyone can live the #yoplife and that is why we are "Your Own Persona". YOP! is what you make it. When you see someone with our logo, they are stating they live and support the #yoplife.